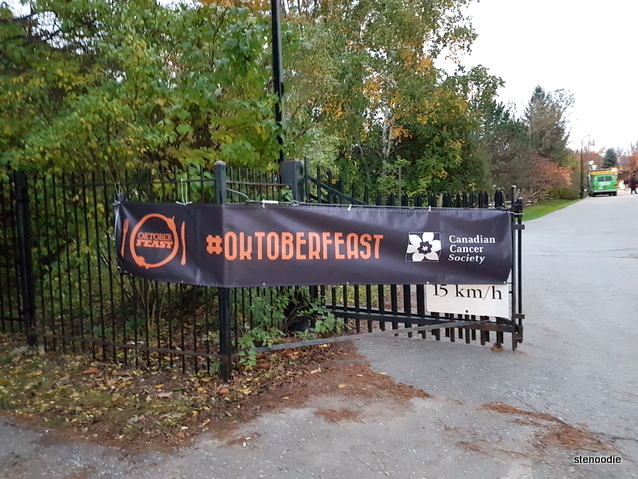 OktoberFEAST 2016 was held last night at the Markham Museum near Markham Road and 16th Avenue in Markham. 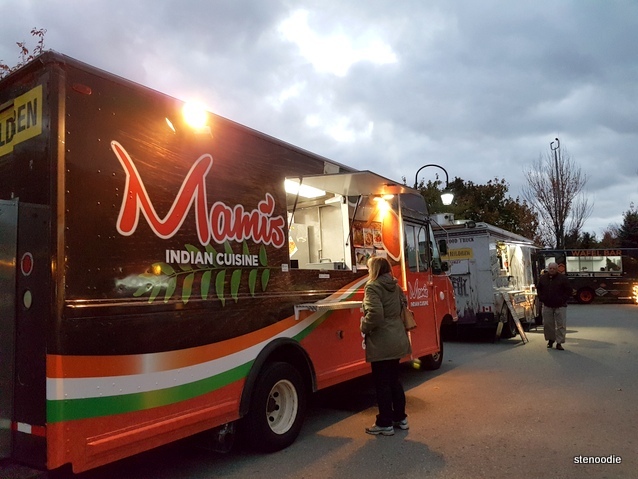 It was an event where local food and drink vendors came together to raise funds to fight against cancer by supporting the Canadian Cancer Society. 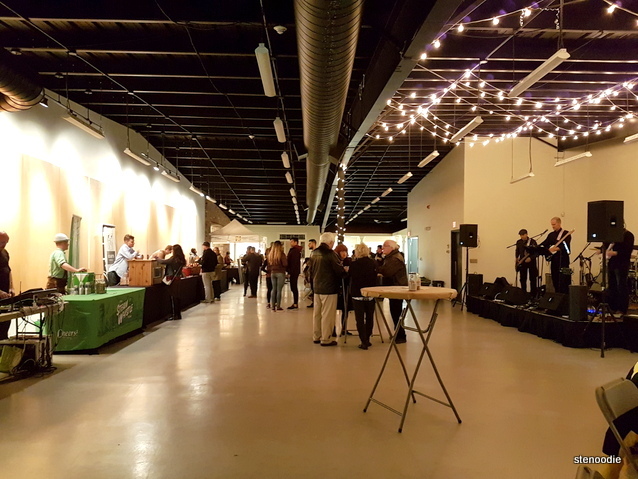 I was aware of this event a month ago when Andrea, the digital content specialist at CCS, contacted me about helping them to promote this event in exchange for some compensation and free admission to the event. 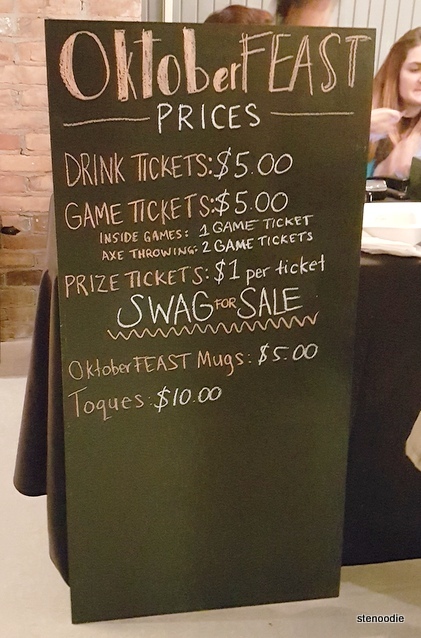 I thought this was a great way to get people aware of local restaurants, craft beers, and wineries while supporting a great cause. 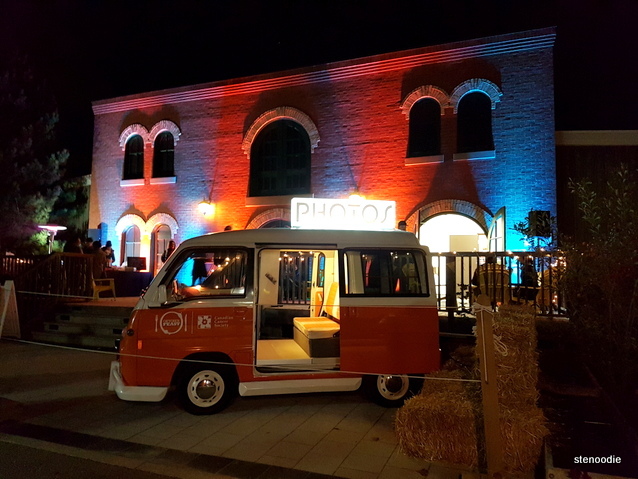 The event ran from 6 to 11 p.m. 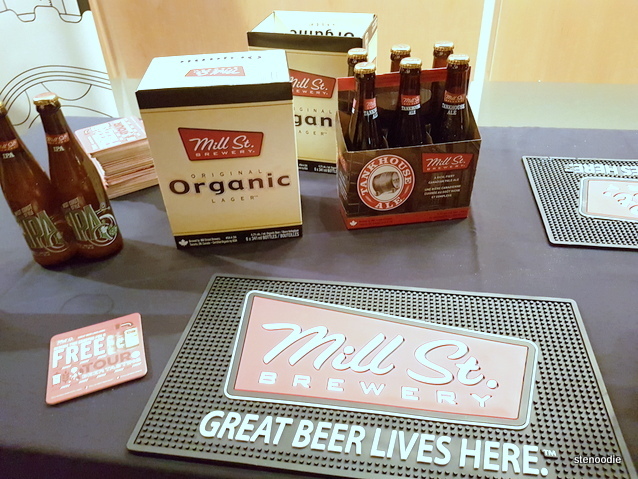 There were some vendors that were indoors and some that were outdoors. Unfortunately, on the night of October 22 when this event was held, it was very, very chilly outside with strong winds. 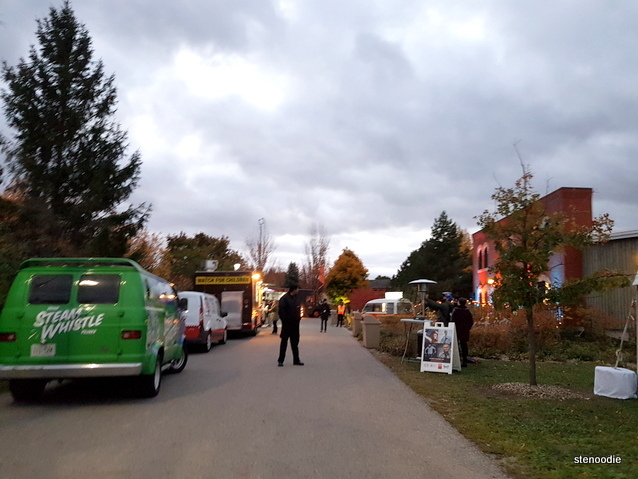 They moved some of their tables, chairs, and vendors inside the building but I thought it was still unfortunate given that it could have been a great outdoor event where people could wander in and out to enjoy the nice venue. 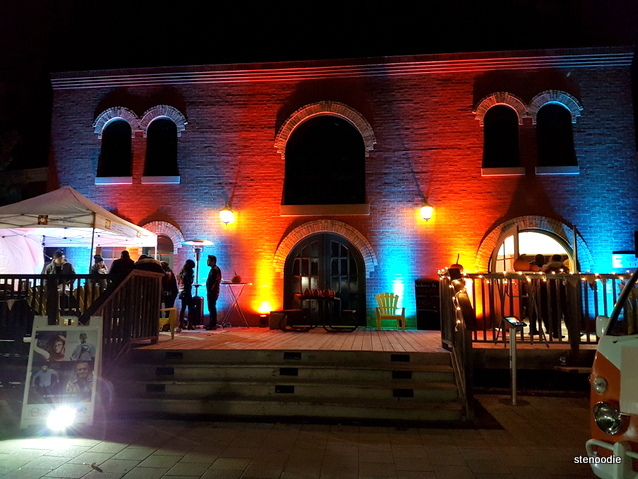 The Markham Museum building was hit up in bright colours from the stage lights with a photobooth van outside and several food trucks too. 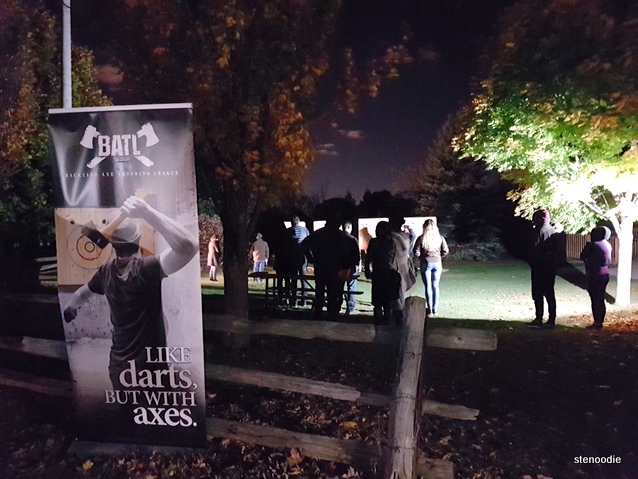 The axe throwing from BATL was located right behind one of the food trucks. 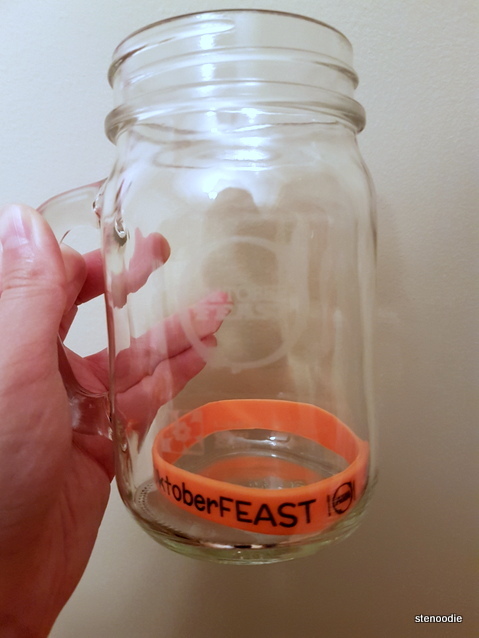 After Betty and I signed in since we were on the guestlist and received an OktoberFEAST wristband and mason jar mug, we wandered inside to check out the venue — it was simply too windy and cold to stay outside for too long. 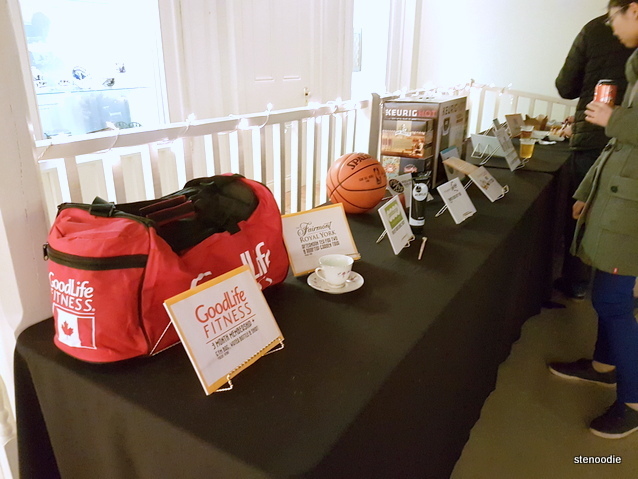 There were raffle prizes laid out on the side of the room with a booth available for you to purchase tickets for food, drinks, or raffles. 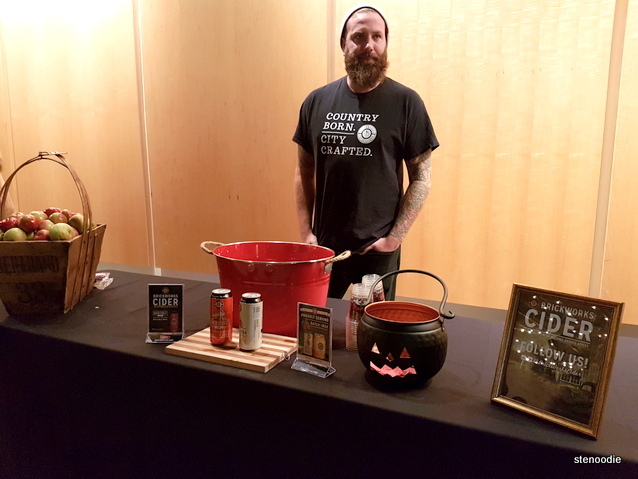 The craft beers and winery booths for located inside as well as the North Poke booth. There were a decent number of people here just after 6 p.m.
We began our food adventures that night with two types of poké bowls from North Poké. 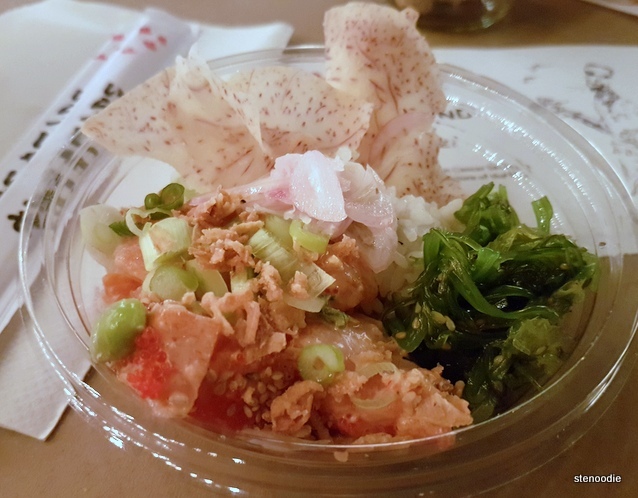 This was only my second time having poké and I was looking forward to it. 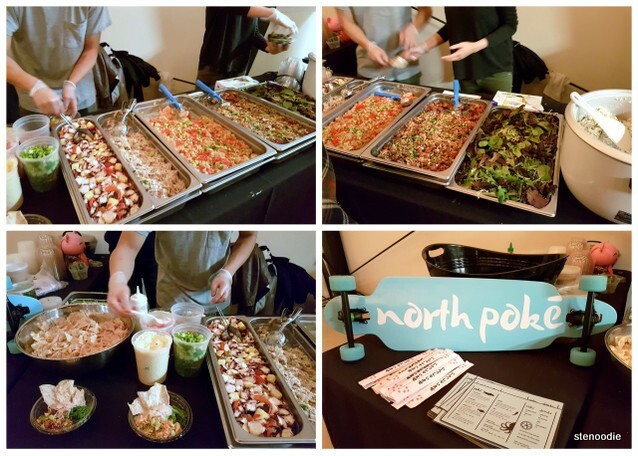 I watched as the staff from North Poké filled up our bowls with sashimi, salad, rice, and toppings. The Waimea bowl had salmon, togarashi aioli dressing, avocado, edamame, sweet onions, toasted sesame, seaweed salad, and fresh shallots on top of white rice. It was pretty good and I actually really liked the white and how the toppings seeped into it, making it really flavourful. The ‘Ono bowl was suggested to enjoy with salad so we did. It contained octopus, potato, baby kale, roasted red peppers, chorizo oil, smoked lemon aioli, and caper infused breadcrumbs. 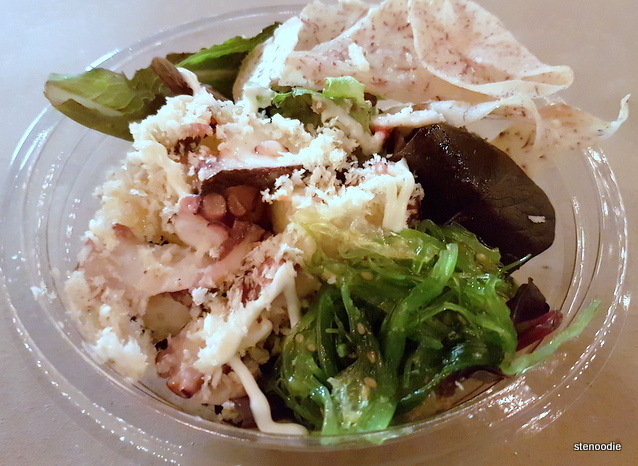 I liked the octopus slices and the salad. Betty didn’t enjoy the salad though because she found that it was a bit dry to eat without notable dressing. I liked the potato and caper infused breadcrumbs that stuck to the octopus slices too. There were more people by this point and the Hey Otis! Band was on stage playing. 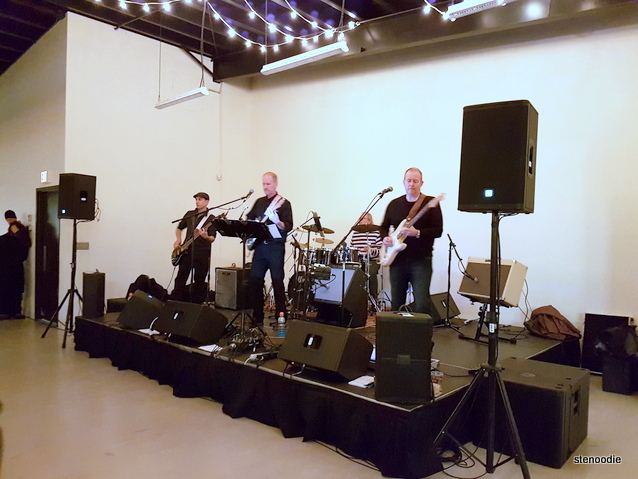 It was a bit loud at times but it heightened the mood and atmosphere with some live music. Hey Otis! 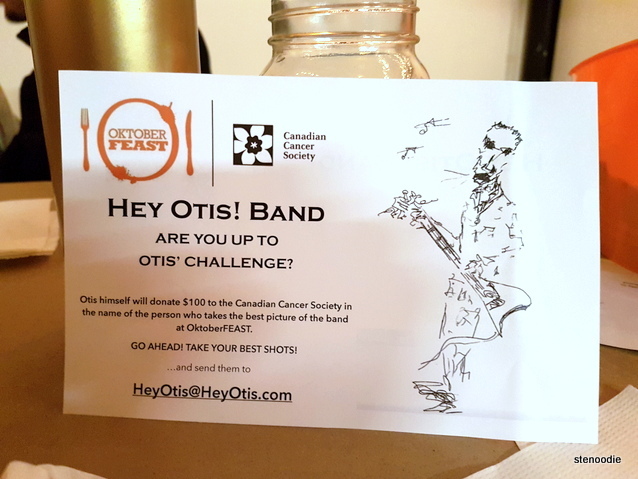 was also hosting a photo contest where the person who took the best photo of them would allow Otis himself to donate $100 to the Canadian Cancer Society in the name of the person who won the contest. 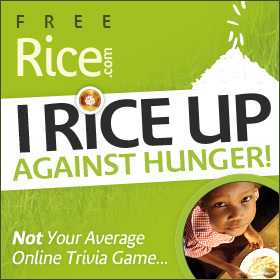 What a really great way to donate to the cause. After our poké appetizer (I guess you could call it that), we went outside to explore the other food options. 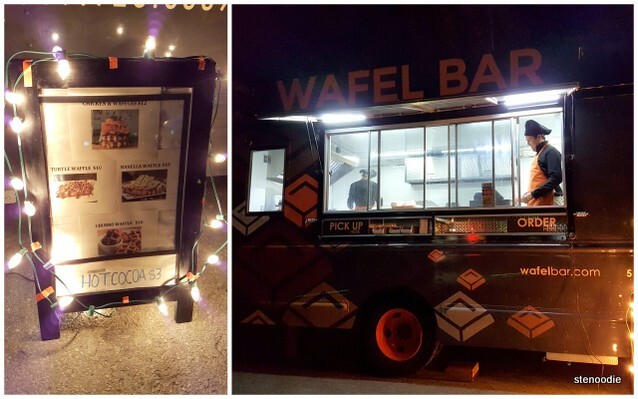 We ended up choosing the chicken and waffles from the Wafel Bar food truck. 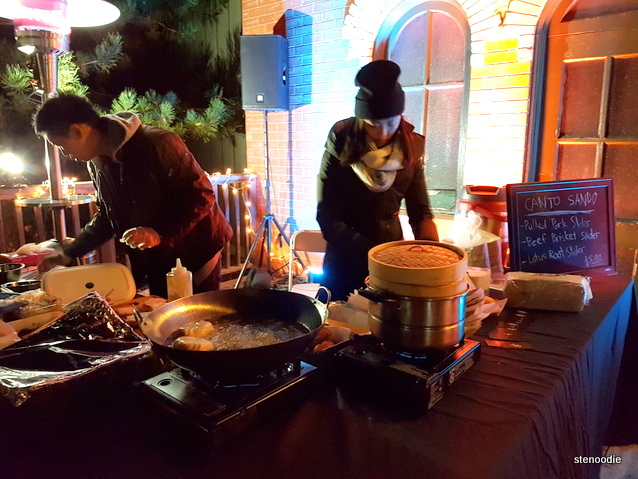 I was surprised to see that the chicken and waffles were actually really good! 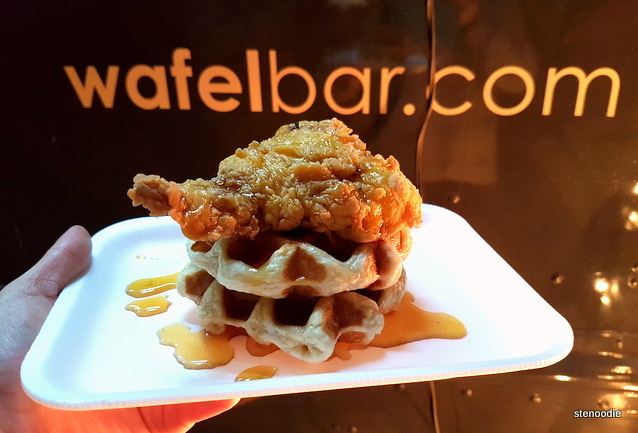 The waffles reminded me of Belgian waffles which were soft and simmered with some sweet syrup while the chicken was quite flavourful and nicely fried. It was a really good chicken and waffles dish! 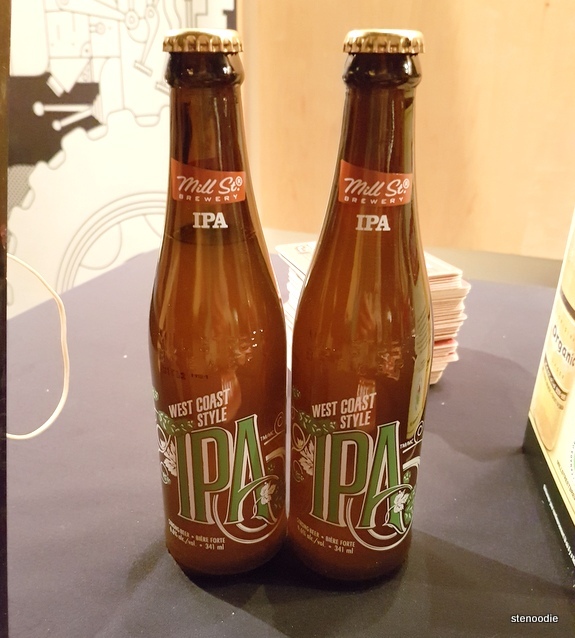 We stuck around for a bit and finished our beers before heading out to grab one more food item for the night. We watched some people throw axes at the outdoor playing field. I have never tried axe throwing before and would love to try one day! 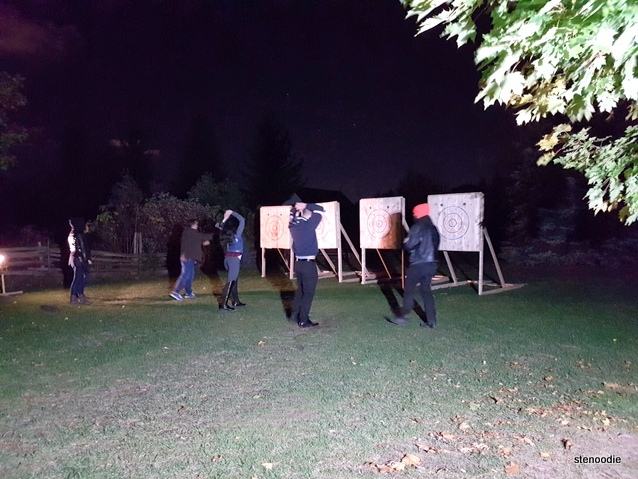 While it looked difficult for the participants to stick a landing of their axes into the targets, it also looked really fun! 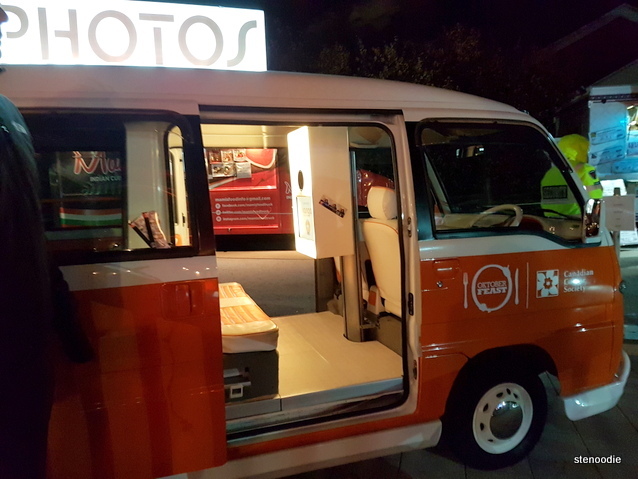 What a cute specially designed van for photo-taking! It was really chilly outside for this, but worth it! 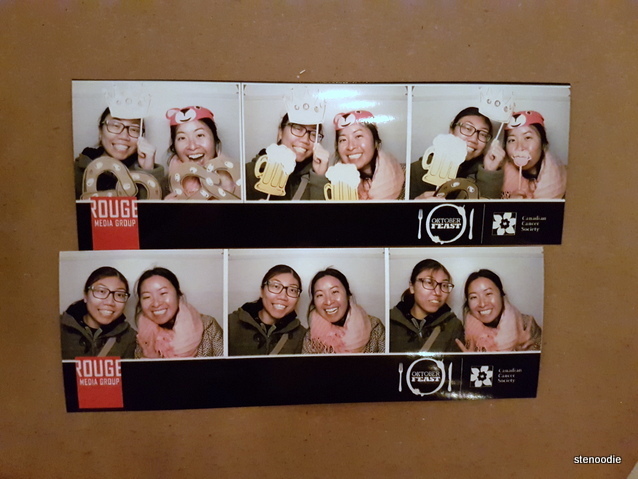 We took 2 sets… one with props because we didn’t do so the first time around! 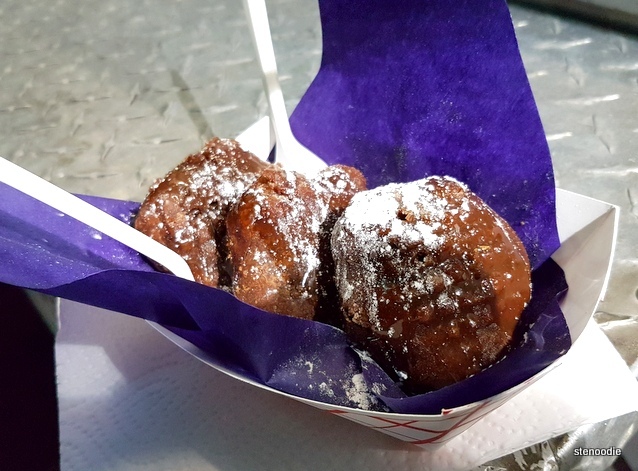 We got the DevilBalls from the Wickedly Sinful food truck. 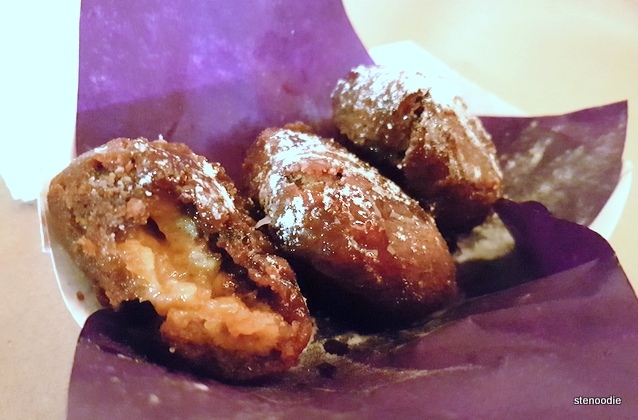 These were chocolate battered and deep fried maple cookies finished with a drizzle of sinner salted caramel. These were nice desserts to finish off the night with. The salted caramel really made the dessert stand out. I felt after a while of eating it though, they were really sweet. These are best to share! 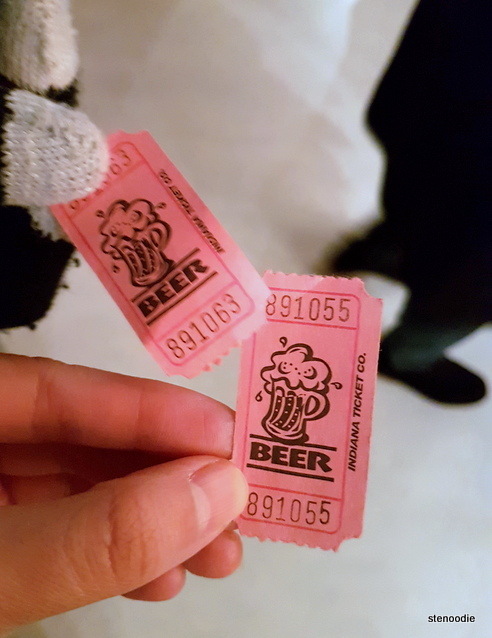 Alas, after staying to listen to the winners being announced for the second-last raffle prizes of the night (and not winning anything lol), we left the event. There were still a lot of people there and I was glad to see that although it didn’t seem that a lot of people knew about this event, there were enough people who showed up and stayed to enjoy the night. My gifts from the event! 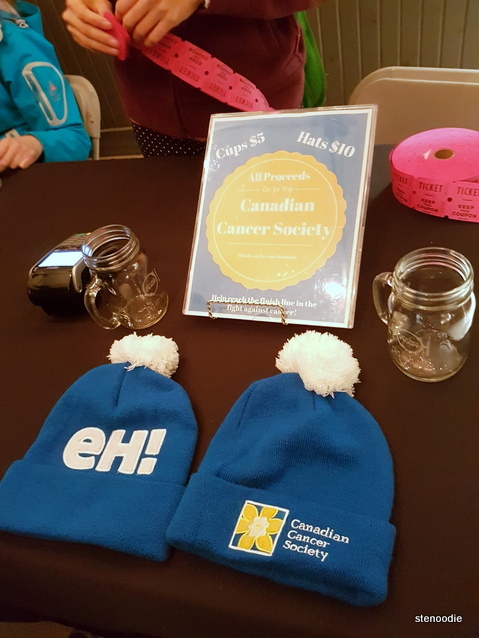 Thank you Andrea and the Canadian Cancer Society for inviting me to the event and allowing me to help promote the event. This was their first inaugural event and I’m hoping that they continue for a second year next year! 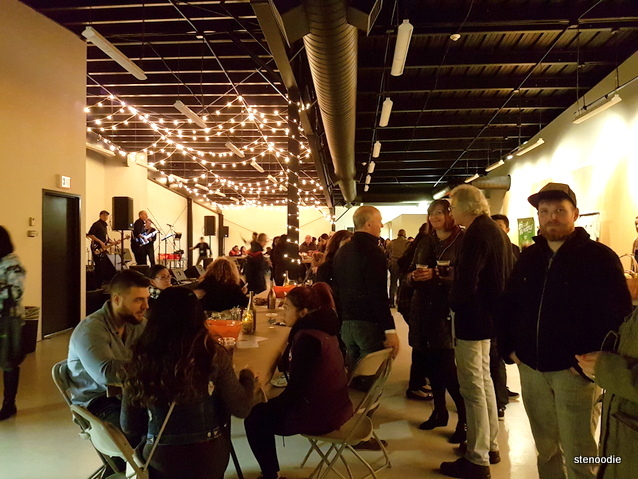 I do have a recommendation though that for next year’s event, that it could be hosted earlier in October — that way, there will be less chance for frigid weather and patrons can enjoy the evening more. Secondly, perhaps the event could be held earlier in the day, say from noon onwards — that way, more people can attend during the daytime and it can lead to more exposure and attendance. 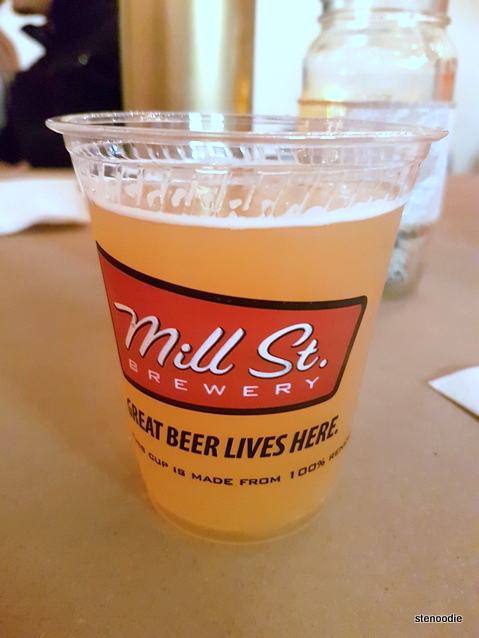 FTC Disclaimer: Although OktoberFEAST invited me to a complimentary tasting to showcase their event, the opinions expressed here represent my own and not those of the company. 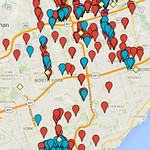 This entry was posted in Complimentary Adventures, Food and tagged 'Ono poke bowl, 9350 Markham Rd. 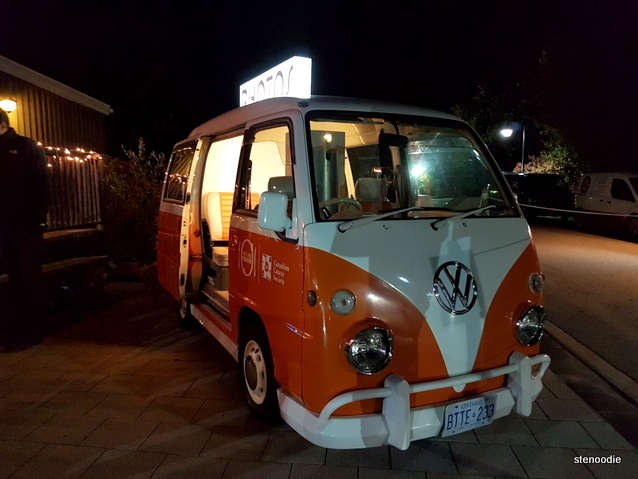 Markham, @batlgroundsaxe twitter, @northpokeTO twitter, @thewickedSin twitter, @WafelBar twitter, autumn festivals in Toronto, BATL Axe Throwing, Brickworks Cider, Canto Sando, DevilBalls, food blogger, food festival, food trucks, foodie, Hey Otis! 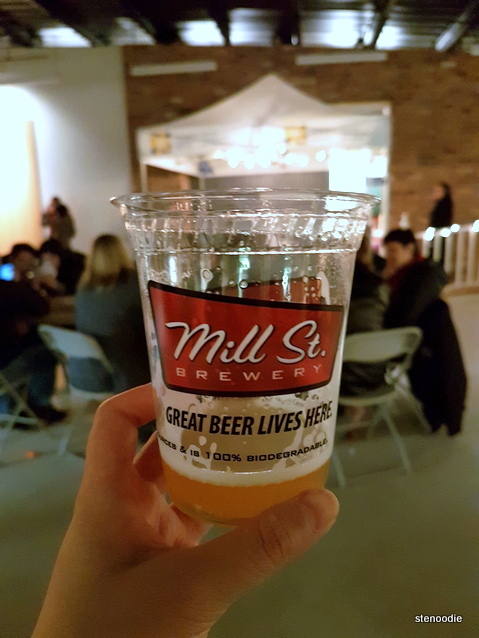 Band, Markham food events, Markham Musem, Mill St. Brewery beers, Mill Street Brewery, North Poke, OktoberFEAST 2016, OktoberFEAST 2016 in Markham, OktoberFEAST 2016 Markham Museum, OktoberFEAST prices, review, Wafel Bar food truck, Waimea poke bowl, Wickedly Sinful food truck. Bookmark the permalink.